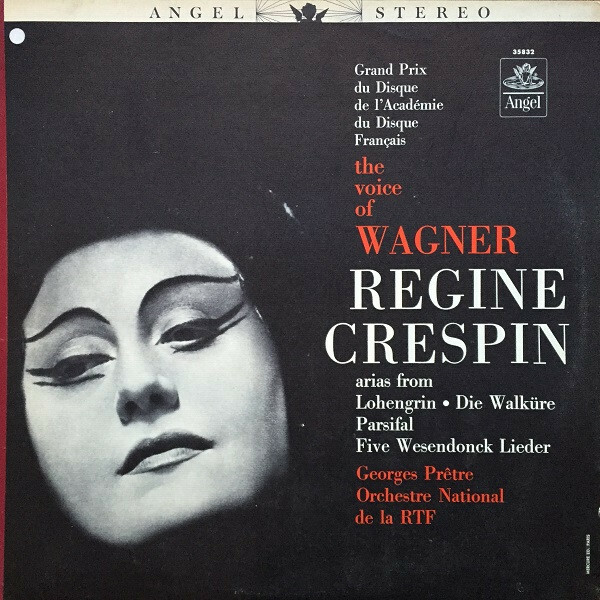 Still, wonderful performances depending on what one is looking for in Wagner's music. Especially her renditions of the Wesendonck Lieder which are excellent. I can see how the recording won a prize and these are certainly performances I will return to over time. Good points. If you get to the Tosca disc (excerpts in French) you will likely have the same reaction. She is the grande dame from the tip of the tiara to the tip of her nails. I absolutely adore her voice and singing style, but blood and guts are somewhat alien to her. With that factored in (if you can - some don’t), you will realize how big Crespin is. Being a huge fan of Callas, it took me many years to overcome that initial reaction. Crespin's voice was so recognizable, one might say unique, I find her irresistable! 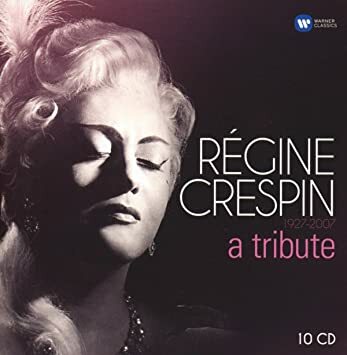 I saw Crespin twice live, once in a recital when I was in college (ca. 1969) and then in the grandly romantic revival of Werther as Charlotte- with none other than Franco Corelli as Werther- at the Metropolitan Opera -an unforgetable experience. I am listening lately to the excerpts of Les Troyens with Crespin and Guy Chauvet, lead by Pretre- it is astounding with a real, distinct French quality because all of the singers are Francophone and the distinct character of the orchestra. The most exciting performance of the Royal Hunt and Storm ever! It is on EMI, and I hope it is still available. If only they had recorded the entire work! - am grateful for what we have. Thank you!